Coffee makers make our lives easier. Therefore, here are the three best pour over coffee makers that can really give you energy with the first cup right in the morning. 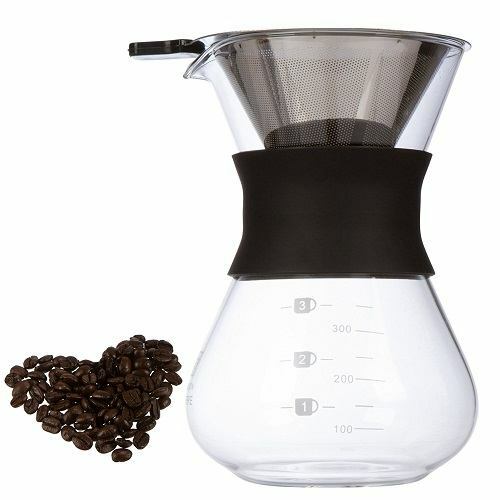 Bodum pour over coffee maker is widely known for its excellent design and of course, aesthetics. In fact, the brand (Bodum) pays a great of attention to everything they create and this includes their pour over coffee maker. A capacity of 34 oz. A high strength borosilicate glass – this isn’t any regular glass. The borosilicate glass used is mouth blown. 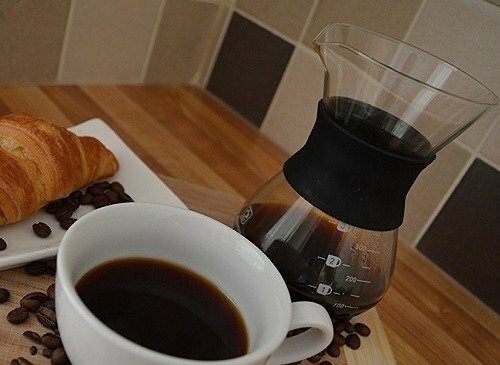 ​A silicone sleeve that can be used to wrap the coffee maker. The silicone sleeve is available in different colors. ​A stainless steel mesh filter. This means you no longer have to deal with the annoying paper filters. A lid to secure the pot. The appliance is also dishwasher safe. Perhaps the best thing about the Bodum pour over coffee maker is that it has a wider neck than the popular Chemex. Furthermore, the stainless steel mesh filter is quite effective and you just need to use the right grind of coffee to get the beverage to taste the exact way you want it. 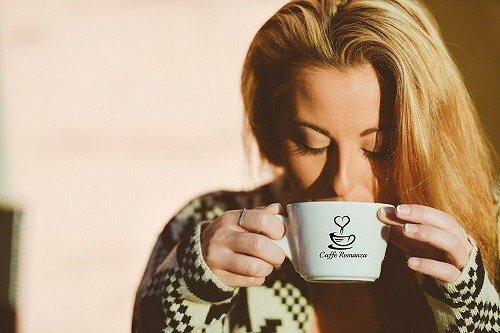 Most coffee lovers hate to use paper filters because they absorb the aromatic compounds and ruin the taste of coffee. For best results, you shouldn’t use a very fine coffee grind because it will result in a very light brew. Remember that for excellent pour over coffee, you need to use slightly coarse grinds with the stainless steel mesh filter. This way the steeping process is a little bit longer which gives an excellent cup of coffee. Should you really invest in Bodum pour over coffee maker? Well, those of you who prefer a stronger cup of coffee every morning might not be particularly impressed with the product. However, if you enjoy a lighter cup, you would love to use the Bodum coffee maker. On a separate note, the quality of the coffee pot used in the product itself is one reason you should get hands on this masterpiece. 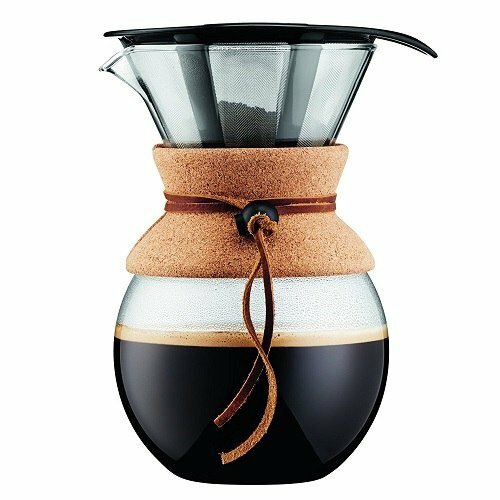 You will be surprised to know that the high quality borosilicate glass you get is comparable (even better) than the likes of Chemex. Those of you who take design seriously will definitely fall in love with the sleek hourglass shape of the coffee maker. The bottom line is that everyone who looks inside your kitchen will know that you have a cool pour over coffee maker. While the product stands taller when placed side by side with other coffee makers, it is still one of the greatest examples of simple technology and amazing design. The glass carafe by Coffee Gator can hold about 10 ounces of coffee. The top section is specially designed to hold the stainless steel cone perfectly. It’s simple to clean the Coffee Gator pour over coffee maker. All you have to do is place the appliance under running water for a few seconds. The stainless steel cone to be used with the coffee maker comes with a little handle, which makes it easy for you to insert and remove it. For an ideal cup of coffee, fill the cone halfway with medium grind coffee and pour hot water maintained at a temperature of about 200 degrees Fahrenheit. It is recommended that you use the Coffee Gator pour over coffee maker with Coffee Gator Kettle. This kettle spout is especially precise and gives you a great deal of control over ‘pouring’ action. The kettle also has a built-in temp gauge in the lid, which helps produce a tasty cup of coffee, and the handle is comfortable for easy carrying. If you are tired of investing in paper filters or maintaining the ideal temperature of water, it is time you buy the Coffee Gator Coffee Carafe and Kettle – two excellent products that produce great results without breaking the bank. If you have ever used coffee makers with plastic components, you would know how they can destroy your taste buds with the awful aftertaste. Not to forget, some popular coffee makers in the market produce unnecessary wastage and you have to spend a great deal of money on paper filters. 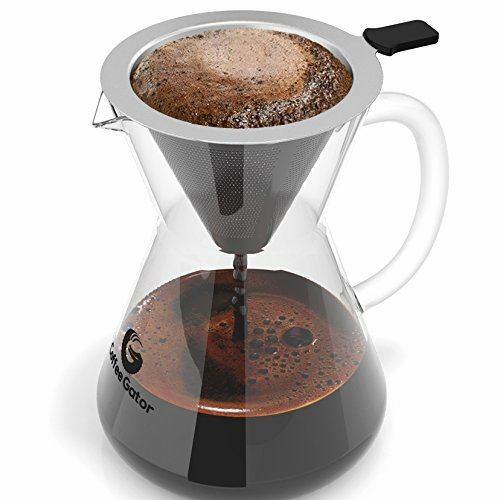 This pour over coffee﻿﻿ maker is something that can give you the best tasting cup of coffee every single time you use it. That’s right. Now it’s easy to produce hot, frothy beverages within the comfort of your home. Unlike other coffee makers in the market, Caffè Romanza – Premium Pour over Drip Coffee Maker gives you a super clean and smooth drink. The stainless steel filter that is included with the product is specially designed to trap unwanted natural oils and residues from the coffee beans. So the question is what makes Caffe Romanza's pour over coffee maker a favorite product? Well, coffee lovers around the world are impressed with the durability of the product and it’s incredibly easy to use design. The 10 oz. glass carafe included with the product is made of borosilicate glass and is quite different from the carafe you can find in the market. Those of you who hate the stainless steel cone from falling to the sides will be impressed with the silicone grip strips that are provided with the design. These silicone strips hold the stainless steel cone in place and you no longer have to worry about the coffee dripping outside the container. The brand knows that many coffee lovers despise paper filters and this is the exact reason why the product is equipped with a high quality stainless steel mesh. Last, the product is 100% dishwasher safe. Here’s some more good news. You get a wonderful coffee scoop with the purchase of this product. Your new favorite coffee maker is easy to clean. All you have to do is rinse the stainless steel filter and carafe and let it dry. 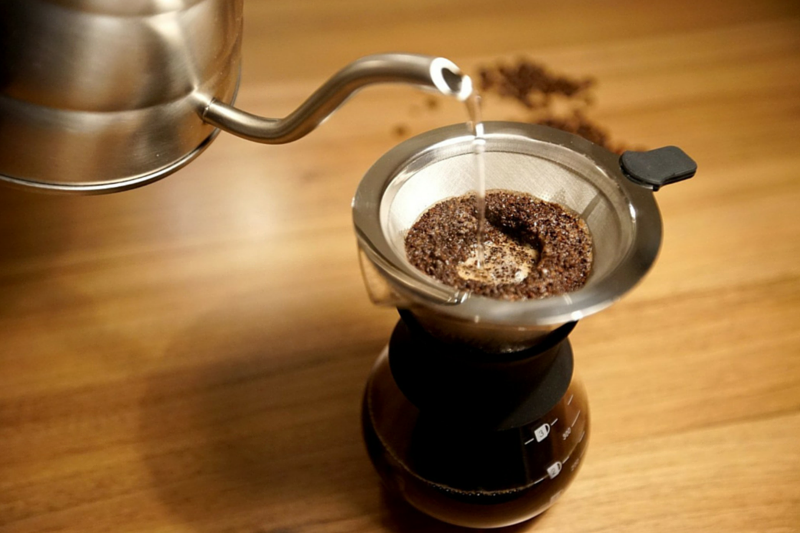 ***Have you tried any of these three best pour over coffee makers? If so, let us know what you thought in the comments below!